Title means Equipment and Armament. Monthly Magazine describing types of modern armaments in service in Russia and abroad. 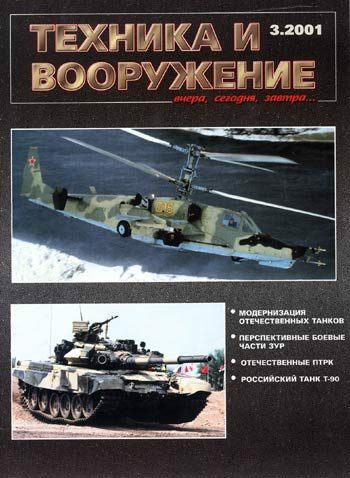 Published 1995-1996 under the former title ‘Tekhnika i oruzhie’ (Equipment and Weapon). 40 pages. See other aviation-related magazines from Russia.